CHANEL MACARONS by Bake My Day - . If you are following me on Instagram, you have already seen this picture of me posting with a box of pretty macarons. Many compliments and questions where i got these macarons from. So today i am going to share with you. Thanks Adelene, the lady behind Bake My Day, for being really patient with my request. I sent her a few photos, and we choose the colour and design for the macarons together. Bake My Day, specializes in macarons with design made with modeling chocolate and is the first bakery in Singapore that create designs on macarons. 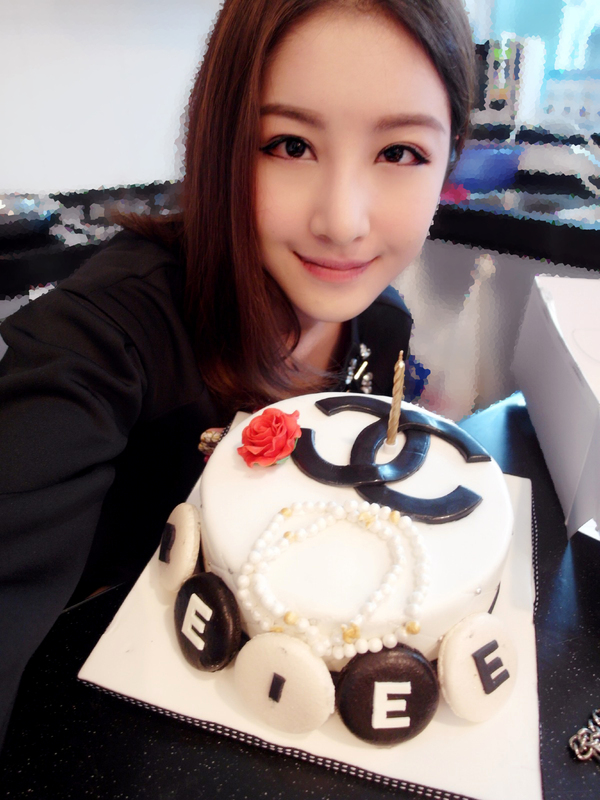 Their beautiful designs are different from the fondant cake/cupcake, which the icing is too sweet and yucky to consume. Macarons are known for their sweetness. One macaron and you need to drown yourself with gulps of your favorite tea. I'm not a huge fans of sweet stuff. I hate caramel flavor because it is too sweet to eat. However, Bake My Day changed me. Their macarons are not too sweet, well suited for my liking. It's so evil, you won't feel sinful even after eating too many of them. If you like baking, check out Adelene's blog at www.bakemyday-sg.blogspot.sg/. She will be giving some tricks on how to make these yummy macarons. Courtesy of her friend's contribution as she helps Adelene on cake at times when there are special order. She only takes on special project due time time constrain. Lucky me, they could do it on time! My birthday cake is too pretty to eat!